Minor Change To Our Wii U Review Format! Wii U Gamepad Feature Utilized! From now on when posting Wii U reviews our staff will use photos that they've uploaded from their Wii U Gamepads on the Wii U internet browser, of course this can only be done on games that allow in-game pics to be posted so games such as Monster Hunter 3 Ultimate will still feature publicly published images. 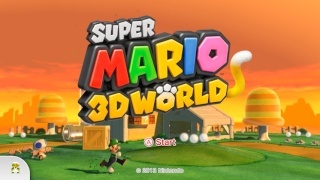 The first review to feature completely custom images will be our Super Mario 3D World review that will go live tonight! What do you think about us using one of the Wii U Gamepad's features to provide unique images for some of our reviews? Let us know in our comments! Re: Minor Change To Our Wii U Review Format! Yep ive been doing this since my Call of Duty Modern Warfare 3 review. Those pics didn't come out good but the WiiU ones are perfect.